The discovery of liquid crystals in 1888 initiated the development of a fascinating field of research filled with colors and textures. 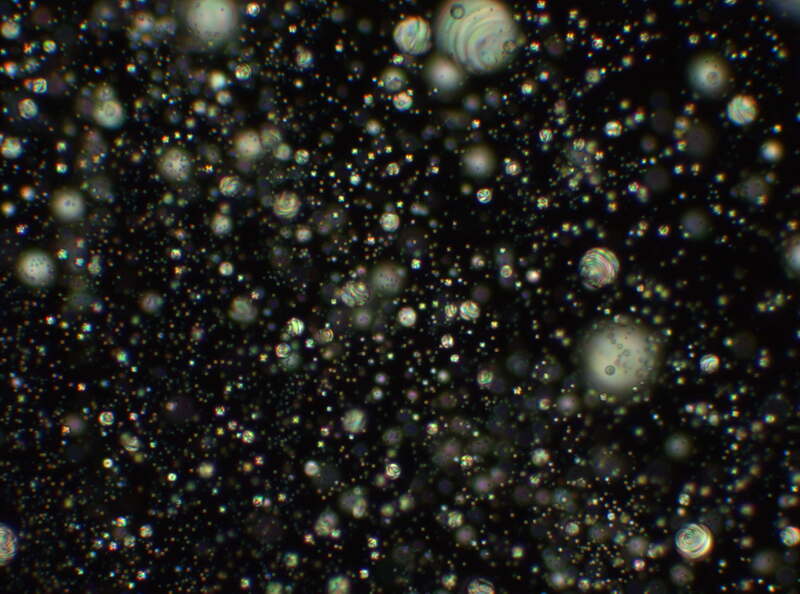 This picture obtained by polarized optical microscopy shows a distribution of liquid crystalline droplets in a polymer matrix. The size and position of droplets in space is hardly controllable and thus it forms a material which reminds me of a summer night sky. The research involved in this project aims at developing micro-lasers at room temperature.